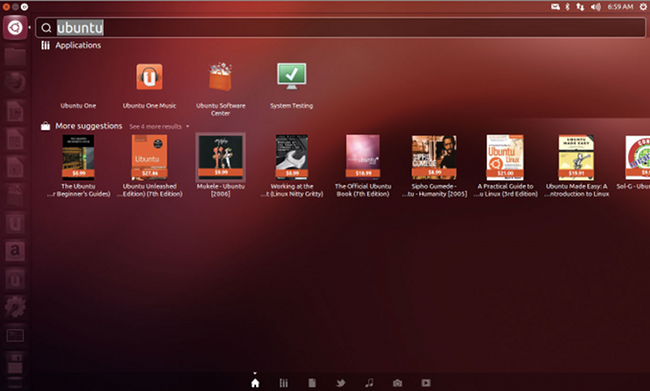 Review A second beta of Ubuntu 12.10 has arrived and its biggest feature has proved its most controversial: the integration of Amazon.com search results on your desktop. Naturally some Ubuntu users took to the web to voice their outrage at not being consulted over the Amazon Unity Lens was added. The complaints were picked up by the GNU/Linux distro's daddy Mark Shuttleworth - who had to assure users that their privacy was not being violated, that no one is running advertisements in Ubuntu and Canonical just really wants to help. And make some money as well. According to Shuttleworth, the Amazon results are not advertisements. They're simply things that match your search terms. Search for "iPod" and Unity will find any iPod manager apps you might have installed and it may also return some results to buy an Apple iPod from Amazon. If you click through and end up buying a new iPod case or something of the like, Canonical gets a small kickback. It seems pretty harmless, but it is very different. I'm not aware of another operating system that integrates shopping results at such a low level. Apps yes, OSes no. As with all things radically new, it rubs some people the wrong way – just look at this hilarious bug report. Combine that with the fact that Amazon isn't a terribly useful first choice for web-based results and you have a perfect little storm for your Ubuntu teacup. Now we learn from Ubuntu community manager Jono Bacon that Canonical is planning a “kill switch” that’ll let Ubuntu 12.10 users disable Amazon returns. Putting web apps alongside native apps works quite well on mobile devices because, with nearly ubiquitous network connections, the difference between the two isn't all that noticeable. True, you might not be able to use your web apps every now and then when you stray outside cell and Wi-Fi coverage, but most people are not only OK with that, they've come to expect it. However, once web apps move to the laptop and try to become first-class citizens, the similarities fade and differences come to the forefront, namely that without Wi-Fi or a mobile data dongle your web app will be a blank, useless page in Firefox. You can almost hear the support calls now - how come I can't access this app? A few web apps, notably Google's popular offerings, do have offline components, but most, such as Amazon, don't. As HTML5 and its APIs become more powerful and are more widely adopted, web apps will likely become indistinguishable from their desktop cousins. 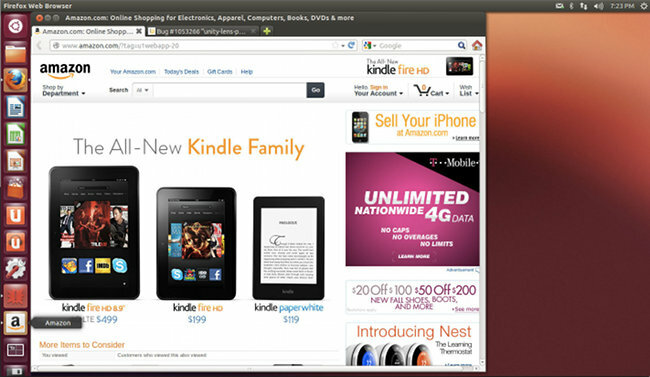 And that's where Quantal Quetzal (aka Ubuntu 12.10) seems to be aiming with web apps: the future. Right now the web apps - limited as they are in this beta - are a half-baked idea and have a lot of kinks to work out. But that's exactly what online backup tool Ubuntu One was when it launched. Ditto the music store and the software centre, both of which started out as fumbling attempts that were later polished into useful tools. 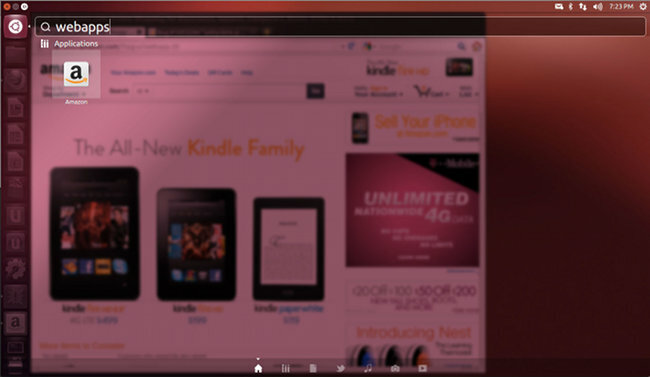 Whether or not Ubuntu's take on web apps will end up smoothing out these initial glitches remains to be seen. While Ubuntu's Amazon integration has been in the spotlight, there are other new features in the second beta of Quantal Quetzal, including several improvements to the Dash previews that premiered in the first beta. Dash previews now have nice transition animations - it looks a bit like your Dash folds open to reveal the preview - and some new action buttons. For example, it's now possible to search for an app, discover it exists but isn't installed, click install and open the new app all without ever leaving the Dash. The refinements also extend to the rest of the Unity Dash, which has received some visual polish and a few other nice, small touches, such as the ability to reposition or even remove the Unity launcher button. The latest beta also includes the usual minor updates to the full complement of GNOME apps that ship with Ubuntu. Like any beta release Quantal Quetzal beta 2 has its rough edges, but it's a step up from the previous test drive.